Scenario 3: This scenario reduces the size of the Dos Vientos / Newbury Park district and shifts the Westlake District further south. 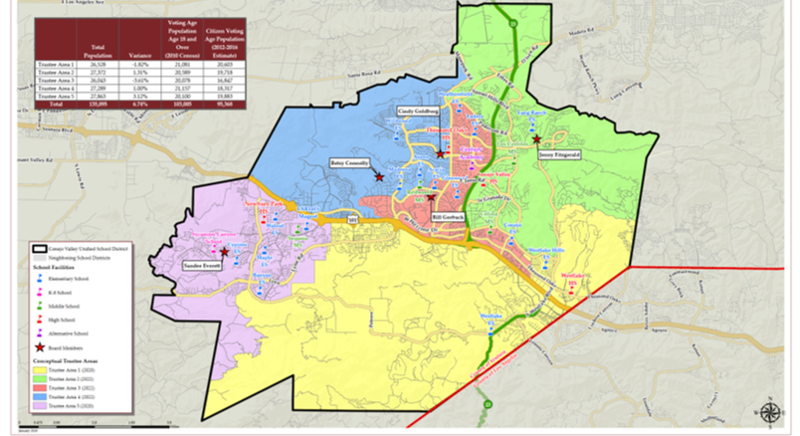 It also expands the Thousand Oaks / Sunset Hills District (Area 2) and the Thousand Oaks / Lynn Ranch District (Area 4). This scenarios reflects all current board members in a unique district except for Cindy Goldberg and Betsy Connolly. 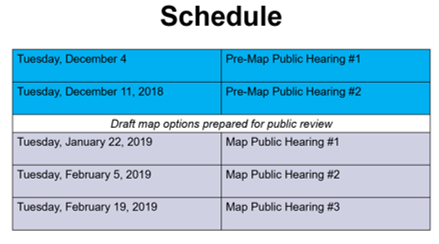 (Thousand Oaks, Ca) Conejo Valley residents interested in providing their input on new districts maps can attend the first of three hearings scheduled over the next 30 days. The meetings are a requirement before officially approving voter districts. 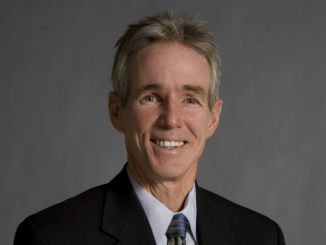 In June 2018, Conejo Valley Unified School District received a demand letter from husband and wife law firm, Shenkman & Hughes, for compliance to the California Voting Rights Act (CVRA). 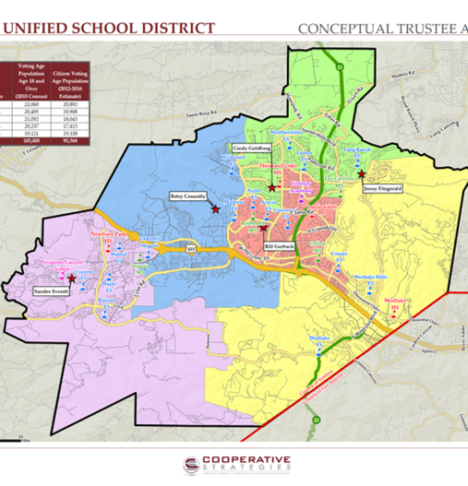 At the November 20 meeting, the CVUSD Board began the process of shifting to districts based elections in place of at large elections. The law requires that once the process begins it be completed in 90 days, which is February 20, 2019. Three scenarios have been drafted for public comment. Each scenario provides options to reorganize around concentrations for voting minorities. the key challenge is in the center of Thousand Oaks along with 23 corridor / Sunset Hills area to the north of the district. This area presents the greatest challenge for drawing district line equitably. 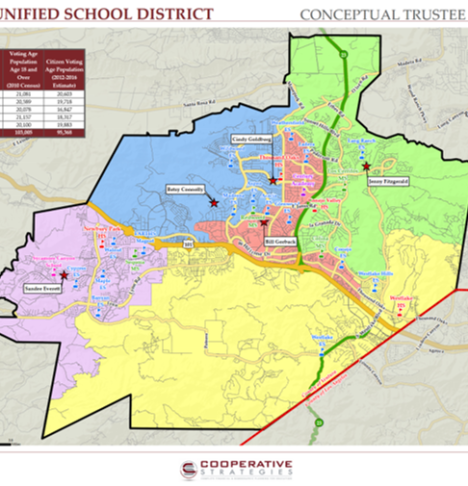 Scenario 1: Five voter districts maintain 4 districts that are equally sized within about 500-1000 people and with a slightly smaller Westlake Village district compared to other scenarios. 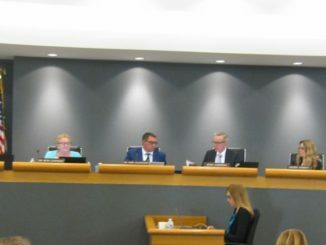 This scenarios reflects all current board members in a unique district except for Cindy Goldberg and Jenny Fitzgerald. 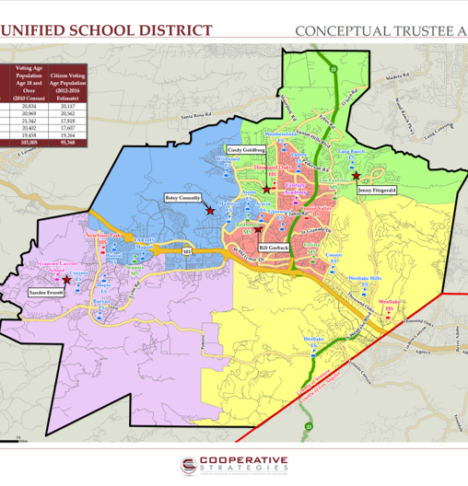 Scenario 2: This scenario expands the Thousand Oaks/ Lynn Ranch district and the Westlake Village District. This scenarios reflects all current board members in a unique district except for Cindy Goldberg and Jenny Fitzgerald. Shenkman & Hughes represent Southwest Voter Registration Education Project (SVREP), an organization founded in 1974 in order to ensure the voting rights of Mexican-Americans in the Southwest. Now nearly 7 years later, Shenkman has sued over 200 cities, school districts, and other municipalities and has won 100% of his cases.